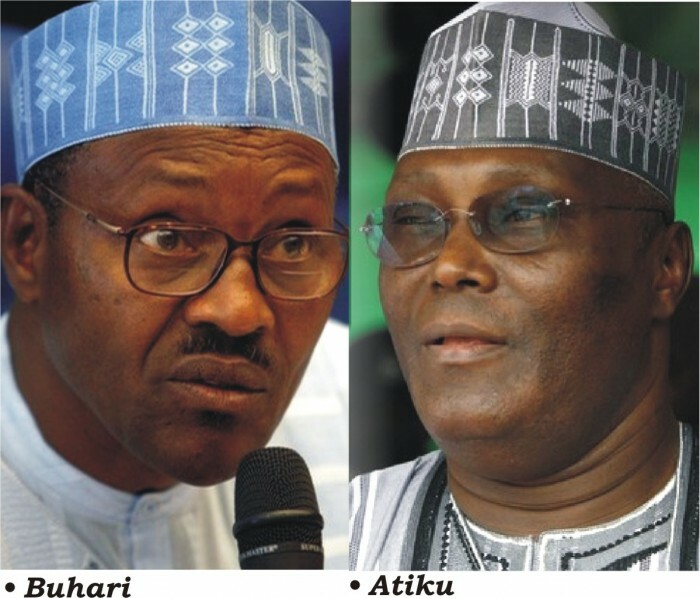 To demonstrate commitment and interest in the conduct of free, fair and credible 2019 elections, the Presidential candidate of the Peoples Democratic Party (PDP) and former Vice President of Nigeria, Atiku Abubakar, has challenged President Muhammadu Buhari to sign into law, the Electoral Act amendment which is on his desk. Recall that the present Electoral Bill, SB. 699, 2018, was passed by both chambers of the National Assembly since October and transmitted to the President after he declined accent on three previous occasion. Atiku made the submission on Thursday during the unveiling of the party’s Presidential Campaign Office, Legacy House, Abuja and the inauguration of 154 members of the Presidential Campaign Council. Atiku who arrived the venue accompanied by his running mate, Peter Obi called on Pres­ident Muhammadu Buhari to shown his commitment to free, fair and credible election in 2019 by signing the amended electoral act into law. The Waziri Adamawa emphasised that signing the bill before the election was very critical because elections are governed by laws and good laws were required to ensure credible elections. According to him, “Such laws constrain the behaviour of all who are involved in the electoral process, including the candidates and their supporters, security agents and the electoral umpire (in this case the INEC)”. Atiku predicted that the 2019 presidential election would be tough based on the desperate moves of the APC government to cling to power at all costs. He said: “We are facing an APC government that is desperate to cling to power at all costs, which means that this will be a tough Presidential election”. Atiku said that he was not surprised that the APC government was running a campaign of “personal attacks and innuendo”, which he said, was caused by the fact that the party had failed to keep its promises to the Nigerian electorate. “Having little to point to as its achievements in nearly four years in office it wants to distract the attention of our people by choosing personal attacks over issues. “A government that has been in power for nearly its full term should be campaigning on its achievements, its record, rather than personal attacks and fresh promises it obviously will not keep. “Nigerians know that the APC government has failed woefully. We have to continue to re­mind our people of that and also tell them what we will do differently to get Nigeria working again”, he said. The Waziri Adamawa said that he had made it clear right from the beginning that his 2019 Presidential campaign would be focused on issues rather than personal attacks and therefore enjoined members of the Council to ensure that issued-based campaign was maintained. He called on the leadership of the party to ensure that enlightened, resourceful and well-trained men and women were hired as agents at the polling stations and collation centres. He charged all the campaign structure to ensure uniformity in its operations but added that states could set up structures that would address local peculiarities. He called on the Campaign Council to establish a functional and effective Situation Room to monitor the campaigns and the electoral process itself until the last vote is counted and the results announced. Also in his Speech, the Director General of Atiku Abubakar Campaign Council, Senator Abubakar Bukola Saraki said that the campaign council is ready and assured that his council will put in their best to ensure the party returns to the Presidential Villa in 2019. The climax of the event was the inauguration of the campaign council and the unveiling of the campaign office. The event was attended by members of the National Executive Council (NEC), state gover­nors, Presidential aspirants, governorship aspirants, Atiku Support groups and teaming party members.